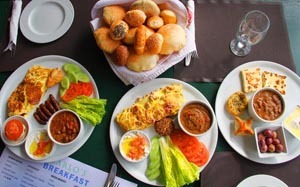 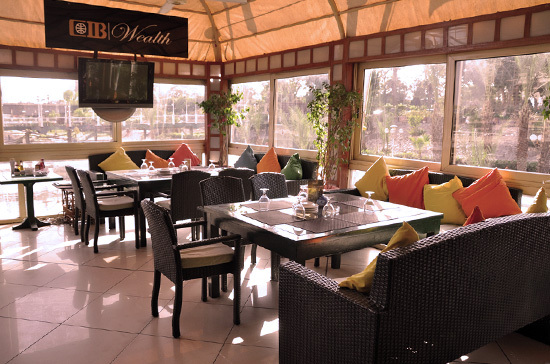 Breezy and sunlit, Carlo’s Restaurant & Café is located outdoors on the terrace offering fine Illy’s coffee, fresh juices, seasonal salads, sandwiches and light meals. 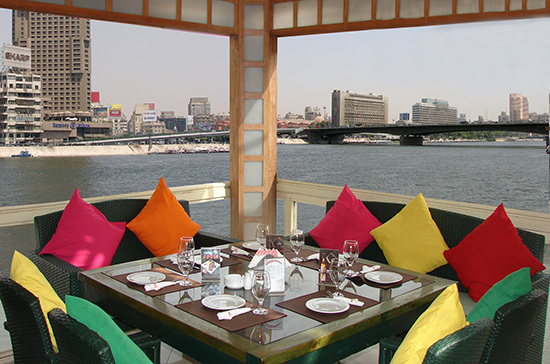 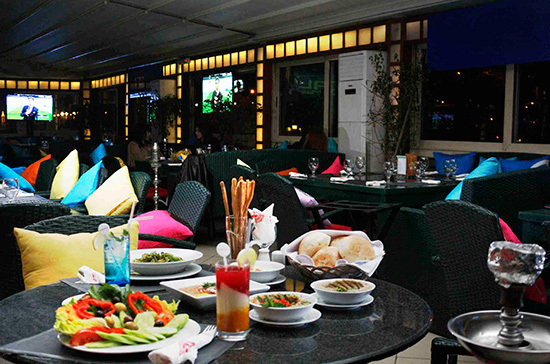 Or just enjoy a Shisha (Hooka) with a spectacular Nile view. 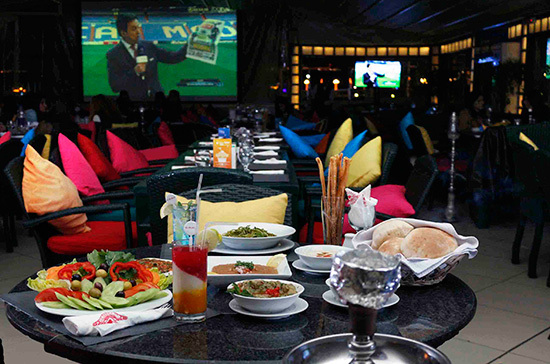 Carlo’s also hosts special events like the World Cup games on it’s large outdoor screen.